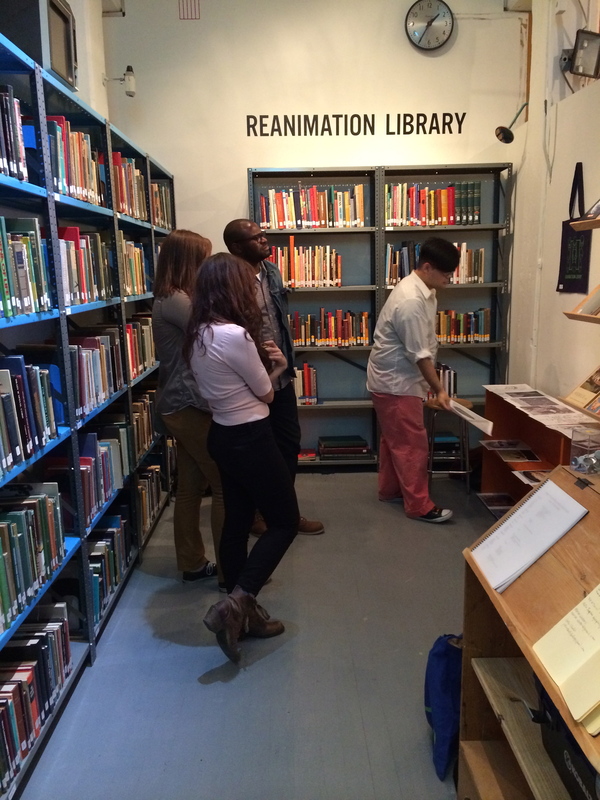 This past Sunday my Archives, Libraries + Databases class (along with a bunch of their friends and a few other students from our graduate program) visited the Reanimation Library and Interference Archives in Gowanus, Brooklyn. We’ve visited Andrew at the R.L. 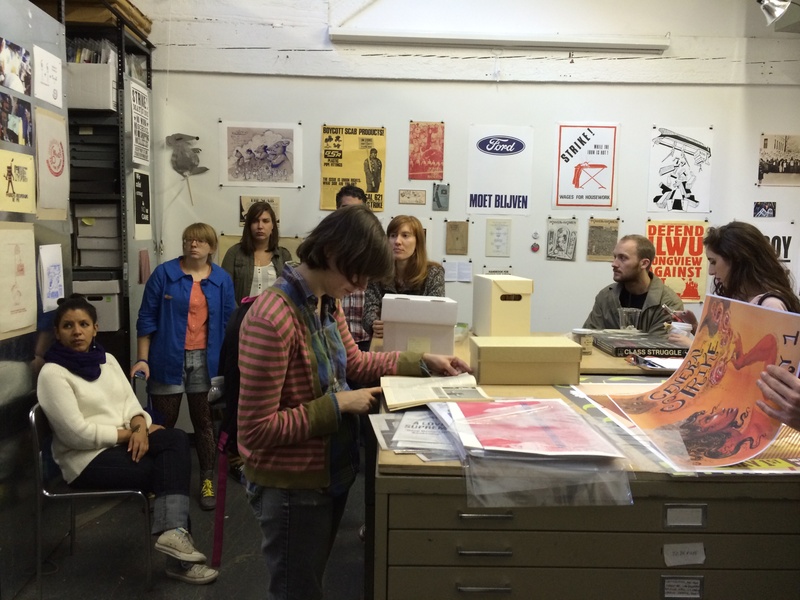 for each of the past three years I’ve taught this course, but this year I decided to make a “Gowanus Radical Collections” tour of the afternoon, so we added the I.A. to our itinerary …And, to round out the afternoon, we managed to squeeze in a final stop at Four & Twenty Blackbirds for a slice of pie. The Reanimation Library’s collection consists of de-accessioned books, which Andrew appreciates not only as “epistemological time-capsules” (my term) — i.e., embodiments of the state of knowledge in particular fields in particular pasts — but also as aesthetic artifacts, windows onto the evolution of graphic and information design, typography, etc. He chooses the books in part for their visual content; thus, the images within the books are just as significant as the books themselves. He’s often wondered how one might catalog a collection based on its aesthetic properties, rather than its subject matter. 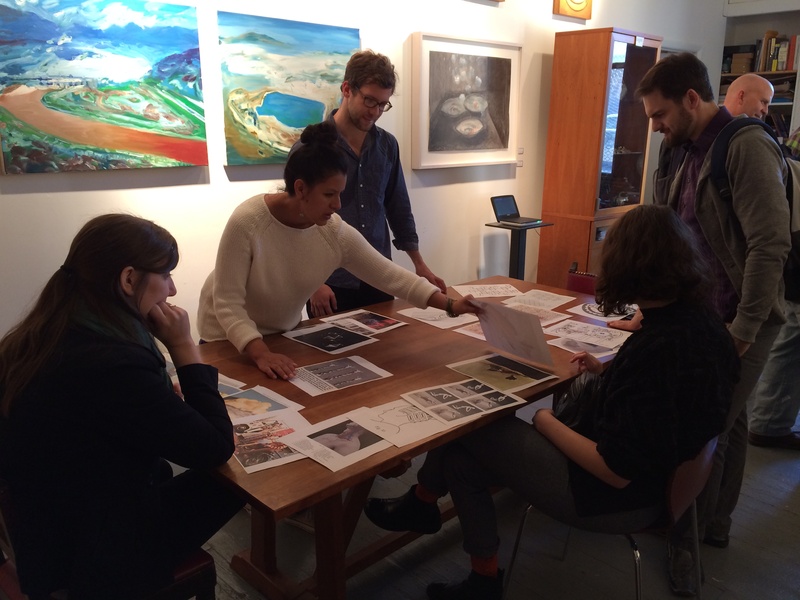 So, each year we visit, he issues us a challenge; he splits us up into groups, hands us a stack of 30 or so fantastically crazy and perplexing images drawn from the books in his collection, and asks us to devise an image classification / ordering system. This year, one group sequenced their images based on mode of representation: first diagrams and line drawings, then photos — and they then ordered the photos themselves by complexity and color. The final photos — macro-scale views of landscapes — had a diagrammatic quality, so they conveniently linked right back into the initial images. Theirs was thus a cyclical sequence — very Warburgian. Another group was accidentally Cartesian. They found that some images represented cerebral concepts; others, forms of locomotion; others, modes of “grounding” or foundation, and so on — so they decided to use the children’s song “Head, Shoulders, Knees and Toes” as their organizing principle. While really fun and playful, their schema also embodied some fundamental epistemological debates — namely, the mind/body split, and the slipperiness of that divide. 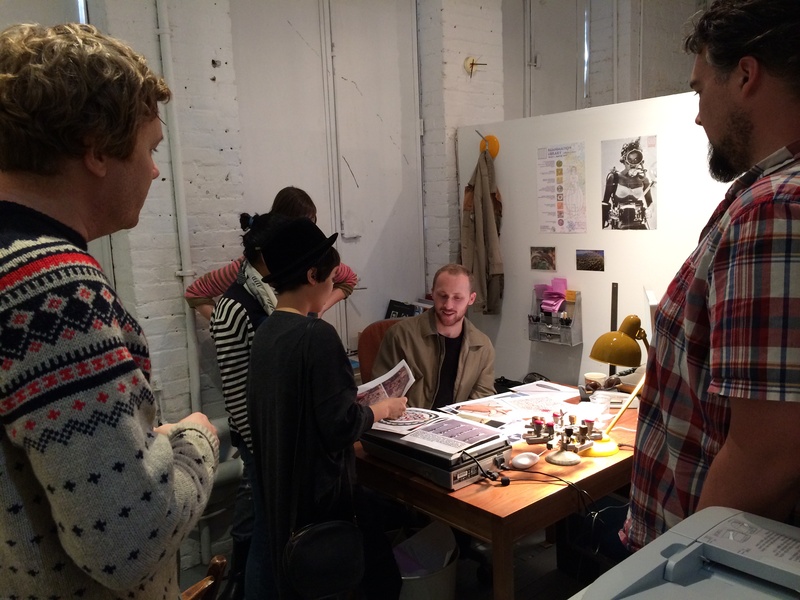 And the final group was very ontological or phylogenical… or whatever. Their schema told the story of human evolution: from the rise of the first organisms, to the emergence and reproduction of humans, through the origin of agriculture, the growth of civilization, the development of technology, our movement into outer space, etc., etc., etc. Brilliant. And hilarious — all of them. 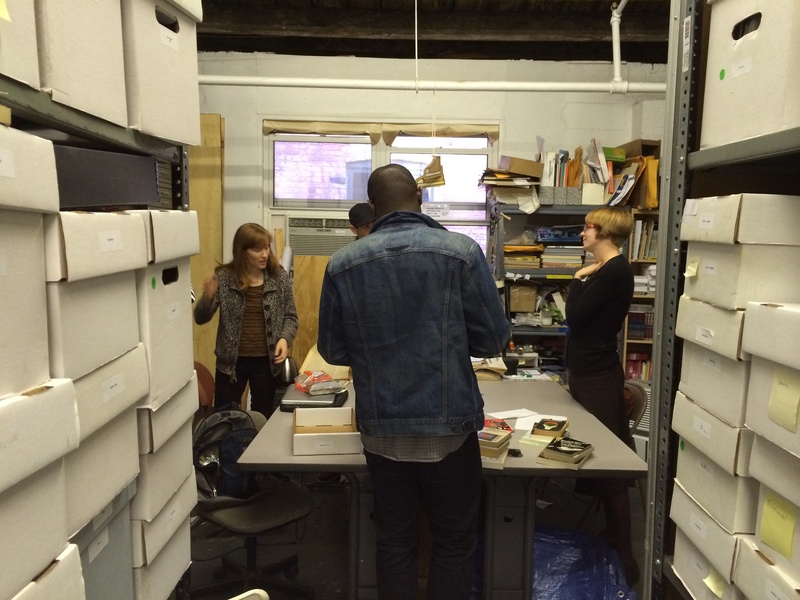 Later on, at the Interference Archive, Molly and Jenny gave us an introduction to the organization, talked about their efforts to catalogue the collection using Collective Access, addressed the challenge of sustainability and funding, and then pulled some Occupy-related material from the collection for us to browse through. For the remaining time, we were given free rein to poke through the shelves, pull material out of drawers, rifle through boxes of LPs, etc. No white gloves in this archive!